Outsmarting — not outspending — your competition. In today's overcrowded world, many organizations imagine they have to spend more to make an impact. Our talented and experienced team of media planners, buyers, PPC specialists, and digital media experts know that being smart-and-savvy will beat overspending any day. We treat your budgets like our own — with focused targeting, a fair but aggressive approach to negotiations, and an unparalleled commitment to media reconciliations — so you know that every dollar made a difference. The goal of media planning is to select and source the right media mix from literally thousands of options to engage with your audience in the most effective way your budget can buy. The secret to successful media buying is a mix of experience, relationships, and quantifiable added-value goals. We negotiate aggressively and follow-up to ensure your ads run according to plan. Search engine marketing, or paid search strategy, ensures you and your products show up in all critical searches without having to rank organically. There are thousands of media outlets, from the New York Times, to Pandora, Hulu, and live reads on your local radio stations. How do you know you are choosing the right one? Our experienced team of media planners help dozens of local, national, and international clients in various industries determine the right media mix for their audience — resulting in maximum returns on investment. Leverage our experienced media buyers' negotiation skills and extensive buying power to secure the best media buying deal for your budget. On average, we can achieve a 30% value-add for our clients. We also track and account for every dollar spent! By bidding on popular terms, paid search allows marketers to guarantee they’ll show up in the most relevant searches and ultimately garner more website visits. As a Google Adwords-Certified Partner Agency, we can help you achieve your goals right away — buying you time to build up your SEO credit to increase your organic rankings. 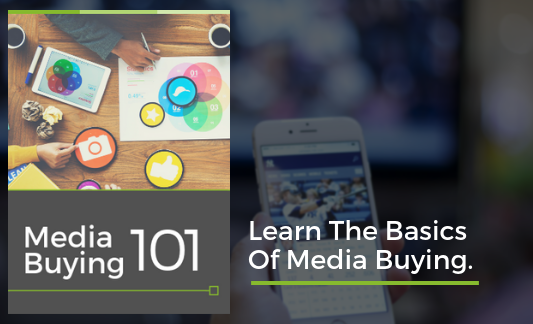 Need Paid Media 101 Crash Course? We Have You Covered! Outsourcing media planning and buying to an agency can be daunting. There are a lot of new terms to learn, and each medium has its own strengths and weaknesses. Download this guide for a quick crash course that will get you started today! You are on a roll — don't stop now! Hi, I am Bridget Andrews! I head up the Media Planning & Buying division at Tipping Point Communications and I would love to answer any questions you might have. Our team has extensive experience with budgets of all sizes and we are happy to help. Simply fill out the form to the right and I will get back to you right away! Talk To Bridget, Our Media Marketing Specialist!